Opening the bottle and it has that herbal, Jagermeister-y kind of smell to it. They aren’t wrong about the brand promoting the herbs and roots flavours. In the glass this grows, it’s not very juniper heavy as they said, I’m just getting the herbs. Adding water and the herbs calm down, you get a more rounded smell of juniper with just a hint of those red fruits coming through. On the tongue you get that menthol fresh feeling which verges more to the bitter side. It’s not overly pleasant. I certainly don’t think gin when I taste this, although I should say it’s more palatable when you get used to it. Mixed with some Fever Tree light tonic and the herbal notes are still the key player, it’s quite sweet and grassy. 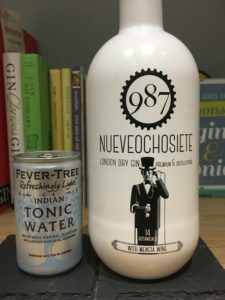 Herbal gins are an odd one for me – I like actual herbs, but herbal gins don’t do it for me. I find them quite cloying and too reminiscent of the many cough medicines I’ve had to swallow over the years. Again, I admit that after a few mouthfuls the initial herbiness fades, but this still isn’t the gin for me. 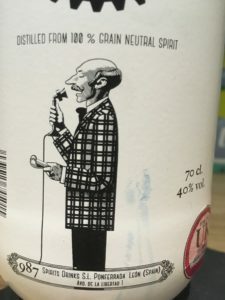 You can get a bottle of 987 gin from Distillers Direct for £37.99 (at time of writing). 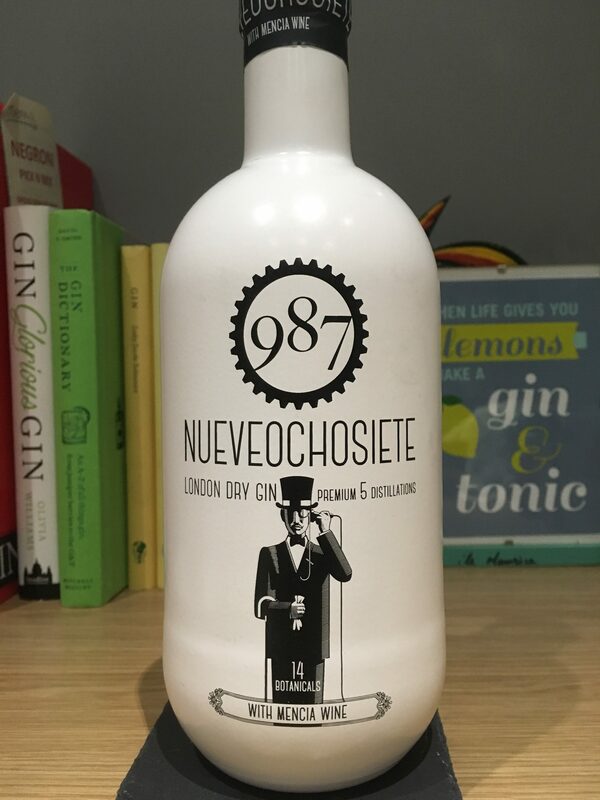 You can find 987 gin on Facebook, Twitter and Instagram. Have you tried 987 gin? Let me know your thoughts on Twitter and Instagram.